Rachel has joined Central Employment’s administration team and brings with her a lot of experience from a recruitment background. 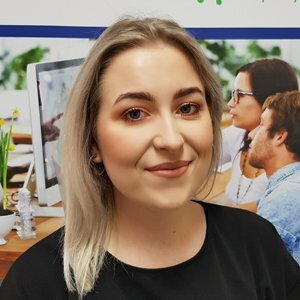 Having left her previous position as a Recruitment Consultant in a heavy sales driven environment, Rachel brings with her experience in account management and administration. Rachel is keen to progress in the business and share her knowledge supporting our busy Administration team in Reception with a focus in candidate care. Rachel enjoys going to the gym and has an appreciation of a variety of music from Pop, to Rock and the great classics.